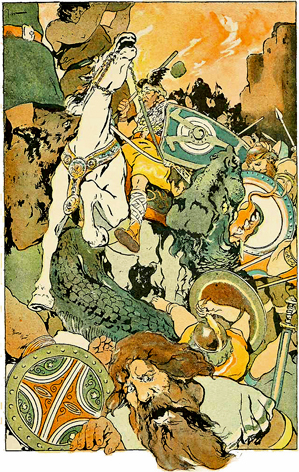 Then the Awful Fight Began, illustration of Ragnarök by George Wright, 1908. As we begin this week, we’re well into the destabilized zone between eclipses, with Uranus moving toward an exact square with Pluto in May. Many of us are feeling unsettled, shaken, irritated, and anxious, with that “other shoe about to drop” feeling. We can’t help but feel unsettled in a rapidly changing world – or, perhaps to be more precise, a rapidly disintegrating world. This is an important part of the rebirth process, and unfortunately, it doesn’t happen fast enough to suit the expectation of instant gratification that’s ingrained in industrialized societies. It takes place over time – many years, in fact – and if we hold our breath waiting for the other shoe, we’ll turn blue and faint. Which, come to think of it, might not be such a bad idea. A little consciousness can be dangerous, as one is tempted to think he knows what’s best for the world. From where I sit, it looks as though events are unfolding in perfect harmony with planetary movements, which themselves are in perfect harmony with the rhythm of the Universe. We just happen to be in a turbulent, breakdown phase that feels anything but harmonious. Could we just get this over with and get on with rebirth? In a word … no. Just as individuals go through periodic breakdown and rebirth (some more than others), society as a whole goes through these cycles as well. It takes as long as it takes, and that can feel very threatening, especially when our survival is at stake. In astrology, upheaval is most closely associated with Uranus, while Pluto is the planet of death, transformation, and rebirth. (For more on the approaching Uranus-Pluto square, I highly recommend the latest article by Barbara Hand Clow.) 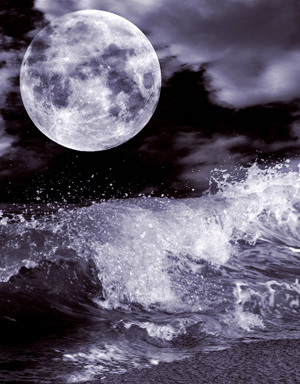 The Full Moon eclipse in Scorpio brought these difficult themes to the fore. Personally, I’ve had to confront serious issues in the past week that could change my course. I’ll share them with you in a moment, but first let’s look at this week’s aspects. Throughout the week, the Sun and Mars remain in conjunction in Taurus by less than 5 degrees, and both oppose Saturn and trine Pluto. Saturn and Pluto are in sextile and also in a special relationship called mutual reception. Before Saturn entered Scorpio last October, these two hadn’t been in mutual reception since the American Revolution. With Uranus and Pluto also in aspect, the energy for radical change and upheaval is multiplied by orders of magnitude. By the time this is over two years from now, political boundaries likely will have changed, and the world will look different. But I’m getting ahead of myself. The Sun and Mars both represent the individual – our personal identities, desires, ego boundaries, and self-expression. The most materialist of all the signs, Taurus tends to be placid and non-confrontational but also has a well-deserved reputation for stubborn resistance. Taurus doesn’t win by outright aggression but by outlasting everyone else in the fight. Long after others throw their hands up in frustration, Taurus is still plodding along, holding out, holed up, and prepared to hang in there until the very end. However, Saturn in Scorpio takes no prisoners and smokes out the resistance, and Saturn and Pluto are working in tandem, so there’s no refuge. If you’re still living for material goals and judge success – your own and others’ – by how much stuff you’ve got, you may be forced to rethink your position. As an example, there seems to be a feeling of entitlement (in this country, at least) to more stuff for less money. For some people, it’s their main goal, which is how we got Wal-Mart – a bargain with the devil, if ever there was one. But there is a way out, and that’s through Neptune and the collective unconscious. Neptune dissolves ego boundaries. We spend so much time trying to figure out who we are and what makes us special that we tend to forget we’re supposed to be working together. The point of finding your true purpose in life isn’t to make you more competitive and marketable, but to give your special gift to the world and thus make the world a better place for everyone, yourself included. There’s a difference between selfishness and enlightened self-interest. At 12 degrees Pisces, Chiron also is in the mix, reinforcing the idea that healing will come through compassion, empathy, and seeing beyond material reality. Even those who are waking up to the energetic underpinnings of physical reality (my definition of “spiritual”) tend to think of the material world as more important and “real,” and the spiritual world as an afterthought. In fact, the reverse is true. Mars opposes Saturn and the Sun trines Pluto on Wednesday. On the same day, Mercury enters Taurus, which may slow us down and help us focus on practical matters. Mercury sextiles Neptune on Saturday and opposes Saturn on Sunday, and he’ll trine Pluto next week. 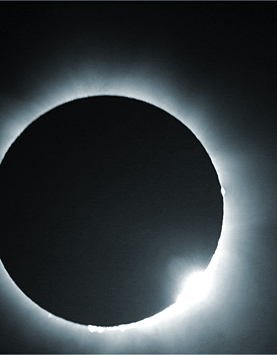 So the foregoing themes are going to remain in play right up until the New Moon solar eclipse on May 9. As for my own eclipse experience, I’m being forced to confront two harsh realities. The first is my own mortality. Shortly after my birthday in February, my older sister died. We were estranged, so I’d already done the bulk of my grieving years before, and I bore her no ill will, not even for her fundamentalist viewpoint that I was practicing witchcraft. A few days before she died, I sent her a heart-felt note wishing her love, deep peace, and serenity. What hit me hardest was that all of my older siblings were gone, and of seven children, I’m now the oldest living. In other words, “I’m next.” Given the ages of mortality of my immediate family, I have another six or seven years – maybe ten, if I clean up my diet and start a sound fitness routine. Then, maybe not. My father’s doctor recommended that he walk more. He had a heart attack on an evening walk to the corner store and was dead before he hit the ground. I’m not afraid to die – provided, of course, that it’s quick and efficient. Dropping dead on my daily walk would be OK, second to going peacefully in my sleep. A protracted illness is quite another matter, especially since I have no health coverage. The second harsh reality is more immediate (unless, of course, I drop dead on my daily walk this afternoon). As much as I value spiritual concerns, one does need to pay for food, shelter, Internet, eye care, and an occasional visit to the dentist. When I first began RealAstrologers, I had a five-year plan to create something resembling what Christopher Witecki has done with SoulGarden. Going to film school was part of my strategy. In the meantime, I’d hoped to grow the business with my unique “hybrid” reports, plus telephone consultations. I live very simply, and yet I’ve not been able to make it work. A few years back, I tried getting a day job to help support the site, but as many of you know, I suffered a serious back injury that makes it impossible for me to go that route again. And because of my age and the economy, it’s not likely I’d even find some menial office work. This reality was hit home in a post on Willow’s Web (thanks to the reader who sent me the link) in which she responded to a reader’s comment that her blog wasn’t worth a donation equivalent to $2.50 a month. I’m sorry to have to say this, but most people come to my site for the free content and leave, perhaps to go to other free sites. As Willow wrote, if you continually come here and take what I offer without giving anything back, you are acting as an energy drain. Until now, that has been my choice, but I have a hard decision to make, and it will depend on your response. If you’ve recently ordered a report or sent a donation, please ignore what I’m about to say. 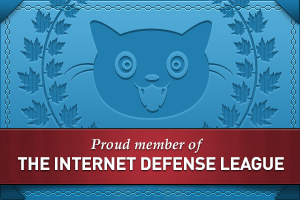 For those who have not, I ask you to please use the donation button in the sidebar or click here. If you are blessed with relative plenty right now, please leave a little extra, because there are readers who truly cannot afford to pay (and not because they just remodeled the kitchen). I know from the e-mails I receive that many of you love what I do and rely on my forecasts to help you make sense of these turbulent, unsettling times. But if there aren’t enough of you – or not enough who are willing and able to help me sustain the site – then I’m going to be forced to stop blogging. Sharing what I know is important to me, not because I have some deep-seated desire for followers or groupies but because it feels like a calling. However, if I see that not that many people value my work enough to pay for it, then I’ll have to face the harsh truth. Better to know now, while I’ve still got a few years left to do something else. This entry was posted in Forecasts and tagged Lunar Eclipse in Scorpio, Saturn and Pluto in mutual reception, Taurus, Uranus-Pluto square on April 28, 2013 by Pat. Vulcan Presenting Venus with Arms for Aeneas, by Francois Boucher, 1757. Desire is the force of the form in nature; will is the energy of the soul expressing itself as direction, progress, and conformity to the [Divine] Plan. In Patanjali’s description of the five energy bodies2 we can see that the bliss body is the closest to our ultimate spiritual goal of “universal mind” and so is considered a very powerful (and dangerous) path to enlightenment. Tantric practice is based on the transformation of blissful energy into the path. But this path is fraught with danger, in the form of being “seduced” from our path and getting lost in the realm of sensory pleasures. It is for this very reason that sense pleasures are considered sinful in so many spiritual traditions (the origin of the word sin means “to miss the mark”3). Without cast-iron will and discipline, forged in the furnaces of Vulcan (and under the guidance of a qualified spiritual teacher), they are more likely to cause us to miss the mark, miss our spiritual purpose, and miss the point of our life altogether. If we don’t have such will, we are better to steer well clear of this path. When correctly focused and disciplined the path of bliss can lead to the higher octave of Taurus which brings spiritual illumination and the knowledge that bliss arises from within. It is not “caused” by external objects but is part of our very own inner nature. Once Taurus has mastered the lower desire nature through meditation, patient effort and discipline, she is open to receive the transformative energies of Vulcan. Whereas Venus brings the energy of desire and sensuality, Vulcan is more aligned with will – divine will in particular. Once Venus has done her job of opening our senses to the presence of blissful energy within our physical form, it is Vulcan’s job to guide us in the correct use of that energy. The dangers of addiction and being “lost” in the bliss would arrest our spiritual development and bring our journey to a premature end. The path is one of transcending all five energy bodies to arrive at our true nature and Universal Mind.4 The energy of Vulcan brings the gift of steadfast willpower that allows us to continue our spiritual path blow by blow, like Vulcan’s hammer, forging the personality into something that is useful for our soul’s purpose and driving us forward on the spiritual path, although there is always the danger that we could go either way. While the ruling planets may provide the conditions, how we react or respond to them is up to us. The path of Taurus involves strong will and strong choices, for desire has the habit of leading our attention outward toward worldly concerns. It is part of the soul’s journey through Taurus to learn to focus this energy inward toward the spiritual path. Vulcan is known as the blacksmith of the gods. His job is to shape and fashion substance, to forge physical matter from light in the heat of his furnace. Once the illumination in Taurus has been realized, it is also Vulcan’s job to then shape that energy into some tangible, practical shape in physical form to fulfil divine will, or spiritual purpose. Venus brings us the power of love and the potential for higher love, but if the love of Venus is not to be degraded into worldly desire, we also need to pass through the fiery forges of Vulcan. This purification process transforms primordial love and desire, through divine will and revelation, into higher love, compassion and illumination. As we discipline ourselves to eliminate the undesirable aspects of our lower ego-personality, we become aware of and aligned with our soul. The soul begins to take shape and becomes the true vehicle for the fulfillment of our spiritual purpose. We begin to realize, and know ourselves to be, a soul, to recognize that our physical body is only one part of our soul and that all physical forms are manifestations of One Great Spirit. 1. Esoteric Astrology, the wisdom of The Tibetan (Master DK) as channelled by Alice Bailey. 3. The English word “sin” is a translation of the Greek word hamartia, which literally means to “miss the mark.” This phrase in itself is interesting in terms of the path of Taurus, because in archery, to miss the mark means to miss the bulls eye or the Eye of the Bull. 4. Five, seven or twelve energy bodies, depending upon your school, tradition, and/or level of study. The anatomy of the human energy field has been described through many different schools, too numerous to mention here. In the Tibetan tradition, five major chakras are commonly identified, and in the Vedic tradition, there are seven. The differences in emphasis are due to different spiritual paths and taking account of our varying levels of understanding and awareness. For example to a 5-year old, you might describe your hand as having a palm, four fingers and a thumb; but to a medical student you would probably include skin, bone, muscle, ligaments, fascia, plus hormonal, endocrine, lymphatic, immune, nervous and circulatory systems, and then you would explain how they all relate to one another to create a functional whole. 6. Esoteric Psychology, Vol. I, The wisdom of The Tibetan (Master DK) as channelled through Alice Bailey. 7. A diamond can show us the nature of light by revealing its many rainbow colors. This entry was posted in Guest Posts, Saturday Extra! and tagged Alice Bailey, Master DK, soul astrology, Taurus, Venus, Vulcan on May 5, 2012 by Pat. Taurus season is upon us once again, bringing with it the energy of desire as it works through form. After the initial pulse of life in Aries, desire in Taurus becomes the driving force in shaping what form life will take. Will we forge ahead driven by our egoic desires and wishes? Or will we align with divine will and shape our primordial life-force energy into spiritual path and purpose? Taurus, the sign of the bull, is associated with steadfastness, material possessions, beauty (especially in physical forms), art, stubbornness, security and even enlightenment. It is said that the Buddha himself had six planets and Chiron in Taurus and that the Buddha was born, passed and entered parinirvana all during the time of this auspicious sign.1 Esoterically, Taurus is associated with illumination and the opening of the third eye. It is under the sign of Taurus that humanity is learning the deeper spiritual lessons of desire and the transformation of the energy of desire. It is through desire that we take a physical incarnation, and it is desire that also keeps us trapped in Samsara, the cycle of death and rebirth. Taurus teaches us about the nature of desire and what needs to happen so we can release our personal attachments and transform the energy of desire into spiritual realizations. Humanity … is beginning to come under the influence of Taurus. Taurus has two planetary rulers: Venus and Vulcan.3 Venus is the personality ruler, and Vulcan is both the soul ruler and the hierarchical ruler. According to Esoteric Astrology, both Venus and Vulcan are sacred planets, while Vulcan is a “hidden” planet. 4 Esoteric Astrology tells us that there are hidden planets that we are unaware of because we do not yet have the consciousness to perceive them or to be receptive to their energy. Once we have expanded our consciousness to the degree that we are more receptive and aware of these subtler energies, we will become aware of these planets. The fact that both ruling planets are sacred (and one is hidden) hints that the inner journey of Taurus is deeply hidden, mysterious, highly significant, and sacred. When considering planetary influences from a Soul Astrology perspective, it is more appropriate to think of the planets as lenses or focalizers of divine energy rather than as causative agents. 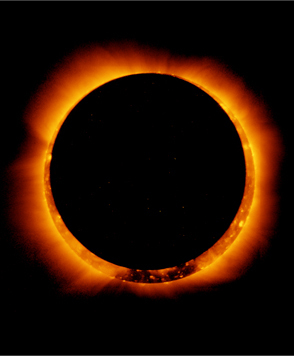 In Esoteric Astrology, the basic energies of creation are referred to in terms of Seven Rays. I will say more about these in future articles, but for our purposes here it is enough to know that there are Seven Great Rays, within which our universe aligns with just one, and then within our universe, there are seven sub-rays. Just as the sunlight contributes to the optimum conditions for life on earth to thrive, so divine energy, in the form of these Seven Rays working through planetary lenses, is contributing to the optimum conditions for the flowering of human consciousness. As Venus works through desire in Taurus, she seeks to awaken the senses. She awakens our sense perception through the physical senses of sight, sound, taste, touch and smell. This has the potential to open us to an experience of bliss and awareness of the bliss body.8 Herein lies the danger of the Taurean path. If the individual is still centered in the ego-personality, the tendency can be towards grasping at more external objects to feed the bliss experience: clinging to possessions of beauty, beautiful people, music, a beautiful body, and losing sight of the spiritual journey. This is a symptom of the lower mind externalizing the bliss experience and projecting it onto outer worldly objects. The ego-mind uses logic in the extreme. If one chocolate made me feel good, then ten chocolates will make me feel ten times as good, right? Yet we all know this is not so. Too much of a good thing leads to lethargy, dullness, weight gain and that uncomfortable (even painful) feeling of being over-full. Then we have the addiction effect; we begin to believe we need something outside of ourselves – the chocolate, new shoes or whatever our craved substance, possession, or person may be – to feel good. We begin clamouring for more of the object that we believe will lead to more pleasure (bliss). This leads us to pursue “worldly concerns” (objects outside of ourselves), and the sad part is that while doing so we are neglecting our inner spiritual path, which is the true path to inner peace, bliss, and beyond. Next: How Vulcan takes over from Venus in guiding Taurus along the true path. 1. Buddhist Astrology, by Jhampa Shaneman. 2. Esoteric Astrology, the wisdom of The Tibetan (Master DK) as channelled by Alice Bailey. 3. The term “rulership” is not intended in the commonly held sense of exerting force or power over another. In this context, the meaning is closer to nurturing-custodianship, in the sense of providing those conditioning factors necessary for divine seeds to ripen, grow and flourish. 5. 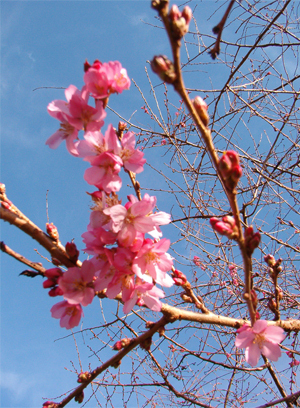 Soul Centered Astrology: A Key To Your Expanding Self, by Alan Oken. This entry was posted in Guest Posts, Saturday Extra! 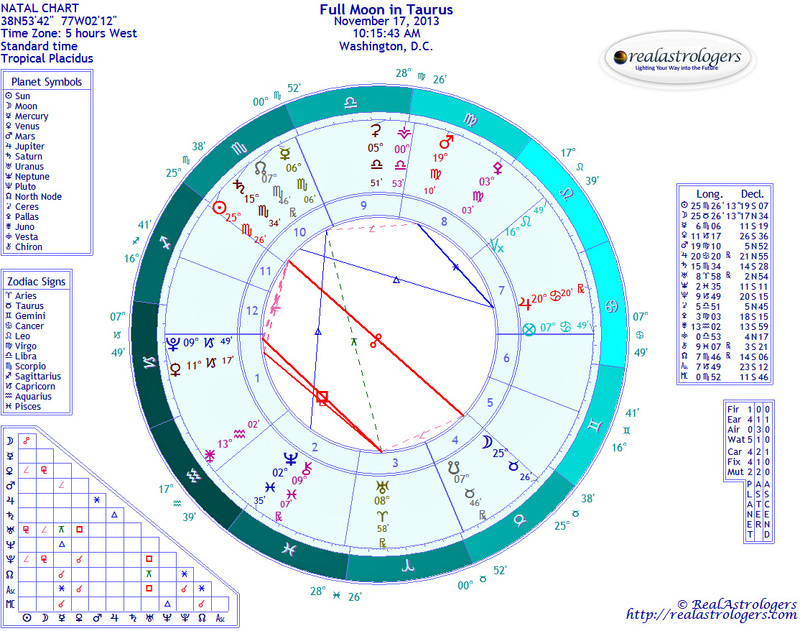 and tagged Alice Bailey, soul astrology, soul ruler, Taurus, Venus, Vulcan on April 28, 2012 by Pat.